Enlarge / This Lenovo Google Assistant Smart Display is one of the first devices to ship with Android Things. Android Things, Google&apos;s stripped-down version of Android named for its focus on the "Internet of Things" (IoT), is now no longer focused on IoT. A post on the Android Developers Blog announced the pivot, saying, "Given the successes we have seen with our partners in smart speakers and smart displays, we are refocusing Android Things as a platform for OEM partners to build devices in those categories moving forward." Originally, Android Things was Google&apos;s stripped-down version of Android for everything smaller than a smartphone or smartwatch. The goal was to have the OS be the IoT version of Android, but rather than the skinnable, open source version of Android that exists on phones, Android Things is a "managed platform"—a hands-off OS with a centralized, Google-managed update system. Just like Windows, manufacturers would load an untouched version of the OS and be restricted to the app layer of the software package. Today, legions of IoT devices are out there running random operating systems with basically no plan to keep up with security vulnerabilities, and the result is a security nightmare. The wider Android ecosystem doesn&apos;t have a great reputation when it comes to security, but Android Things updates are completely managed by Google via a centralized update system, and just like a Pixel phone, devices running Things would have been some of the most up-to-date and secure devices available. Seeing Android Things undergo a major pivot now is pretty strange. The OS has just survived a lengthy initial development cycle (originally, Android Things started out as a rebrand of "Project Brillo"), and it only hit version 1.0 nine months ago. The first consumer products with Android Things, third-party smart displays like the Lenovo Smart Display, only launched in July. A solid line of speculation would be that Android Things is just too heavy for smaller IoT devices. Google itself has never built a device with Android Things. It did build a smart display, though—the Google Home Hub—but instead of using the Android Things-based smart display platform it was pushing on third parties, Google used an OS based on the Google Cast Platform—the same OS that powers the Chromecast. 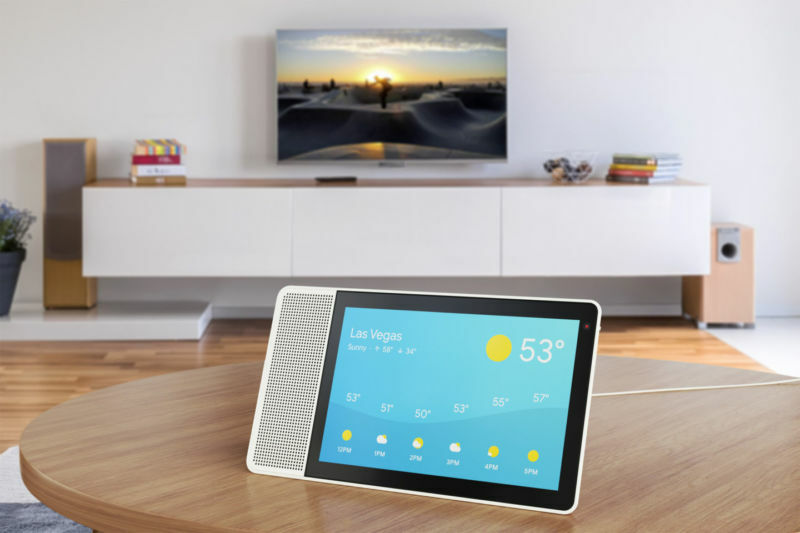 The user-facing software is still the same as third-party smart displays, so there is no difference from a user perspective, but the Home Hub is running Google&apos;s smart display software with lower specs and a lower price point than any of its Android Things-based competition. The Intrinsyc Open-Q 212A SOM. This is a roughly 2-inch square with a Snapdragon 212 onboard. The back sports a few 100-pin board-to-board connectors. Android Things has yet to deliver on the promise of low-end hardware support. Google officially supported several "System on Module" (SoM) boards—tiny, bare circuitboard ARM computers along the lines of a Raspberry Pi—but they all used smartphone-class specs, with the lowest "System on Module" (SoM) board being a Snapdragon 212 CPU, with 1GB of RAM and 4GB of storage. That&apos;s hardly appropriate for many of the smaller, battery-powered IoT devices you would see in something like a smart home setup. With the Android Things pivot, Google is ending all public support for its three SoM boards, which originally were going to be supported by Google for free for three years. While big manufacturers can presumably still partner with Google, Android Things support for the general public is now limited to "experimental," non-commercial devices using a Raspberry Pi 3B or NXP i.MX7D. For commercial devices, it&apos;s only speakers and displays from here on out. Google says it will "remain dedicated to providing a managed platform for IoT devices, including turnkey hardware solutions," and it still has quite a few IoT platforms in the works. Google never builds just one of anything, remember. Last month at CES, Google announced a preview of "Google Assistant Connect," which it called "a platform for device manufacturers to bring the Google Assistant into their products in an affordable and easy-to-implement way." Google didn&apos;t provide any details about the operating system or hardware that Assistant Connect runs on and so far has been very vague about the whole project. The one thing Google has said about Assistant Connect is that these devices would require a Google Home smart speaker to be on your network, and an Assistant Connect would offload the "higher-order computing" to the linked smart speaker. Then the slave device—Google gives an example of an e-ink display that shows the weather or calendar info—could be very cheap, thanks to the speaker being used as the brain. That&apos;s all we know about Assistant Connect so far, but it certainly sounds like a lower-end solution than Android Things is. Google&apos;s single blog post about the project ends by saying, "We’ll have more to share about Assistant Connect and how device makers can gain access to the technology later this year." As mentioned before, there&apos;s also the "Google Cast Platform" that powers the Google Home Hub. It was a real shock to hear that Google built a smart display platform for third parties (Android Things) and then didn&apos;t use it in its own product. And while it definitely seemed suspicious then, in retrospect, it&apos;s a clear sign that Android Things wasn&apos;t working out the way Google had hoped. The Home Hub was the first we&apos;ve heard of a "Google Cast Platform" being used in a device that wasn&apos;t a Chromecast. Google never explained which OS was in the first Google Home speaker, though, and considering how closely related it is to a Chromecast, we wonder if the first non-Chromecast Google Cast Platform device launched all the way back in 2016. In the distant future, there&apos;s also Google&apos;s experimental Fuchsia OS. The project is mostly interesting as an Android-replacing smartphone OS, but internally at Google, it has already been privately ported to the Google Home Hub. A report from Bloomberg last year claimed Fuchsia was targeting a consumer launch for smart speakers in 2021, making Fuchsia even more internal Google competition for Android Things to compete against. Published on Wed, 13 Feb 2019 19:00:42 GMT, © All rights reserved by the publisher.